I took my first boating holiday on the Norfolk Broads in May 1953, when I was 9¾ and did not return for another boating holiday on the Broads until July 2009. My extreme tardiness in returning should not be taken, in any way, as a slight to the Norfolk and Suffolk Broads for it was this holiday that introduced me, and my family, to the joys of boating. In 1957 and 1961 we explored the Thames and in 1963 we took the first of many canal holidays. 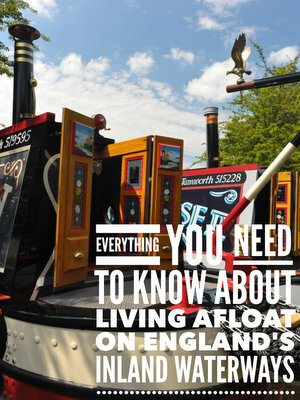 During the following 46 years I explored our waterways system, 15 of these on our own narrowboat, which we sold in 2009. Our first boating holiday after this was back to the Broads. The broads, from which the whole area takes its name, are a number of lakes, which were at one time thought to be natural features but are now known to mainly be the result of medieval peat digging. Most of these broads are connected by a system of rivers and canals giving a cruising area of about 125 miles with no locks. In the north the main river is the Bure, into which the rivers Ant, Thurne and other waterways run. In the south the main rivers are the Yare and Waveney. The rivers of the north and south are both united and divided by Great Yarmouth, where the River Bure meets the River Yare, uniting the two river systems, although here navigation is restricted by the need to time a passage to and from Great Yarmouth according to the state of the tide. Unless you plan well ahead you may find you need to make this passage at the crack of dawn or shortly before dusk. Although the whole of the Broads can be affected by tides this is not normally noticeable until a mile or two from Great Yarmouth. As we only had a week on the Broads we confined our cruising to the northern rivers, cuts and broads. We picked up the boat at Wroxham, the place where my family had rented a bungalow with a rowing boat and a motor launch back in the fifties. Wroxham can claim to be the capital of the Broads as it has more hire boat companies than anywhere else. It also boasts the “largest village store in the world”, Roy’s of Wroxham, which is in fact a department store that would be the envy of most small towns, plus a large supermarket and other retail outlets. We decided that for our first afternoon of cruising we would go just over three miles up the Bure to the head of navigation at Coltishall. The man from the boatyard steered us under the low Wroxham Bridge and then left us to familiarise ourselves with the boat. I must say that it took me longer than I had expected to get used to the wheel steering of a light cruiser again after many years of narrow boating. The river winds its way through wooded banks but as it approaches Coltishall the view opens out and soon we see a broad strip of mown grass with a long length of moorings and beyond them the welcoming sight of two of the village pubs, The Rising Sun and The King’s Head. From here the Upper Bure (or Aylesham) Navigation once ran 9½ miles and 5 locks using the course of the upper Bure River plus a mile of cut to Aylesham Basin. This was authorised by an Act of 1773, work started in 1774 and it opened in October 1779 but was abandoned in 1928. The attractive village is up the hill from the moorings and has a few shops, another pub and a thatched church. The next day we came back down river to Wroxham and stopped to wait for a pilot to take us under the bridge. The boatyard had asked us to do that and they soon sent someone to steer the boat through. The Broads has very few bridges and most of them have a reasonable amount of headroom, Wroxham has only 2.34 metres (7ft 8ins) at the centre and Potter Heigham a foot less, but more of that later. We continued down the river until we got to Wroxham Broad, here there is a choice of route, either to continue down the river or to go onto the Broad and return to the river at the other end, which is what we did. Wroxham was the first of many broads we saw on this trip. They are great favourites with the sailing fraternity as they give plenty of room for manoeuvre, especially when tacking to make progress against the wind. This particular broad seemed very popular with motor boaters too, many it seems take this detour as a change from the river route and we found ourselves in a procession of boats making for the exit at the far end. Beyond Horning we stopped at moorings at Cockshoot Dyke for lunch. This was an example of the many moorings that are provided on the Broads, usually with wooden decking and wooden mooring posts, steel rings or both. We were always able to find a purpose built mooring, which was just as well as we were not equipped with mooring spikes or a hammer. After lunch we went down the Bure to the mouth of the Ant, then up the River Ant to Stalham. This trip includes crossing Barton Broad, which forms part of the navigation. Not all of the broad is of navigable depth so motorboats must keep between the red and white capped wooden piles that mark the channel on this and many other broads. To reach Stalham one must turn off the Ant onto Stalham Dyke. As we approached Stalham we met a whole armada of slow moving cruisers that made the river resemble rush hour on a busy motorway. At first we were puzzled by the presence of all these various craft near the end of the navigation but we soon found that the end of the dyke is a mass of cuts housing several boat hire companies and concluded that this was the Saturday afternoon rush of hirers setting off. Stalham is also the home to the Museum of the Broads. The busy town is across the main road and up the hill. Before leaving the Ant we went to Wayford Bridge, past picturesque Hunsett Windmill and the junction with the derelict North Walsham and Dilham Canal, and down the narrow channel to Dilham. On our way back down the Ant we also made our way up Lime Kiln Dyke, which is a turning off Barton Broad. A good map is essential for finding these small exits from large broads as unless you have a good general idea of where the exit is located it is not easy to find them. At the end of the Dyke is the village of Neatishead, where the Old Saddlery restaurant provided an excellent Sunday lunch. Having returned to the River Bure it is less than three miles down river to the River Thurne junction, our next river system to explore. We stopped that evening at Ludham Staithe on Womack Water (£3 mooring fee). The village has a good pub and shops. Our next port of call, Potter Heigham, is much more a holiday village than a typical traditional Norfolk village; it also has a low bridge that hire boats are forbidden to pass without a pilot. We paid our £10 return fee and made our way up to West Somerton. The highlight of this journey is the passage through the edge of Martham Broad, which is managed by the Norfolk Wildlife Trust as a nature reserve. Taking the Candle Dyke turning off the Thurne leads through two more broads and to the entrance to Meadow Dyke, leading to Horsey Mere. We took this route to Horsey Mere Staithe, where we paid our second and last mooring fee (£5) but in return got the most beautiful mooring of the holiday, the Horsey Windpump and the rows of moored sailings boats invoking the timeless spirit of the Broads. There were more delights and contrasts to come, from the narrow channel of Waxham Cut, with a restricted turning space at the end, to the wide expanses of Hickling Broad, where the breeze created some rough water even on a pleasant summers day. We went down the Bure as far as Acle Bridge and explored South Walsham and Malthouse broads as well as stopping at the delightful and popular village of Horning. Stopping here can be difficult as moorings on the village side of the river are restricted, there are moorings on the opposite side but no bridge to get across. Perhaps this explains why so many boats on the broads trail a tender in their wake. So what has changed on the Broads in the last 56 years? Wroxham and some of the other waterside villages have more riverside homes and most of the old wooden bungalows that were once so common have disappeared. There are more marina style boatyards, more hire boats and many more purpose built moorings. Perhaps more important is what has stayed the same; the tranquil backwaters, wildlife, the variety of scenery, the windmills and the sailing craft – all the things that first attracted the Victorians to this part of the world.